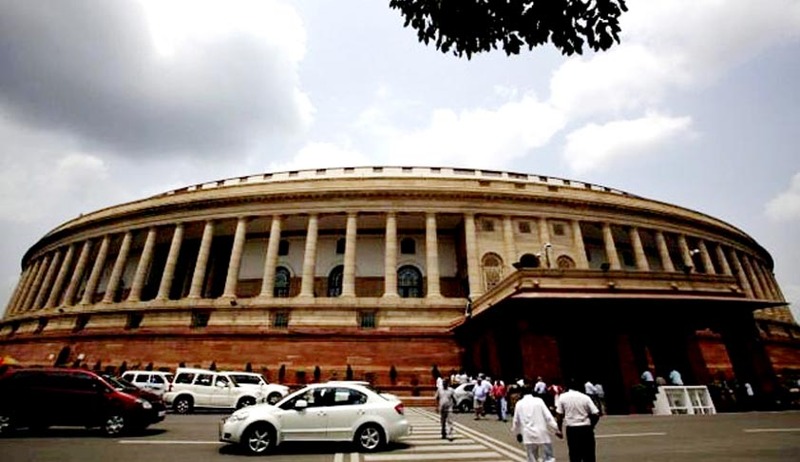 As many as 61 Rajya Sabha members have reportedly moved a petition for impeachment proceedings against Justice CV Nagarjuna Reddy of the Andhra Pradesh/Telangana High Court. The petition alleged atrocities by Justice Reddy against a judicial officer, who happens to be a Dalit. PTI reported that the Rajya Sabha Secretariat confirmed receiving the petition and the decision would be taken in the next two days. According to the Judge's Inquiry Act, 1968, if such a motion for impeachment is admitted, the Speaker shall constitute an investigation committee comprising of three members, of whom (a) one shall be chosen from judges of the Supreme Court. (b) one shall be chosen from among the Chief Justice of the high courts. (c) one shall be a person who is, in the opinion of the Speaker/Chairman, a distinguished jurist. According to the Act, the committee shall frame definite charges against the judge on the basis of which investigation is proposed to be held. Earlier, the campaign for judicial accountability and reforms had sought an inquiry against Justice Reddy for alleged atrocities against the Dalit community. There were allegations of Dalit atrocities and criminal misconduct by the judge against Rama Krishna, former Principal Junior Civil Judge, Rayachoti, Kadappa district. Rama Krishna had alleged that he was forced by Justice Reddy to remove the name of Pavan Kumar Reddy, who happens to be the brother of Justice Reddy, from a dying declaration recorded by Rama Krishna when he was posted as magistrate in Rayachoti. The dying declaration had incriminated Pavan Kumar Reddy, allegedly disclosing that he had doused the victim with kerosene and set him on fire for not agreeing to sign on a blank paper. It was alleged that subsequent to the recording of the declaration, Justice Reddy purportedly threatened and abused Krishna, when he refused to remove his brother’s name from the dying declaration. The allegation added that the magistrate was later summoned to Justice Reddy’s house, where he was beaten up and abused. The magistrate then approached the High Court Vigilance Registrar and submitted a written complaint, naming various officers of court at Rayachoti who indulged in illegal acts, misplacing of court records and making files disappear. No action was, however, taken by the high court on the said complaint. A complaint was also filed with then Chief Justice of the Andhra Pradesh High court and then Chief Justice of India. The representation further made reference to a series of unexplained transfers and suspension, claiming that he was being harassed for complaining against Justice Reddy and his brother.